A strong first episode lays out its stall. 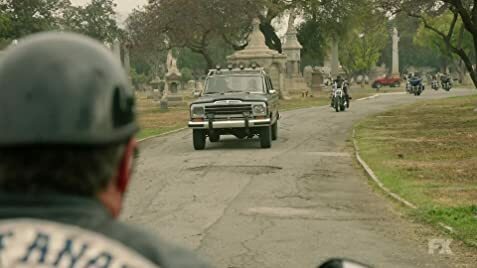 It even includes a guest biker appearance from the Sons of Anarchy. Set in a Southern Californian border town. The Mayans are a close knit gang working with the Galindo cartel to run drugs for them. They have to contend with a young head of the cartel who treats them like lackeys. This lack of respect irks them. 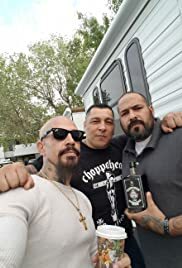 Ezekiel 'EZ' Reyes is the new recruit, helped to be admitted to the Mayans Motorcycle Club by his brother. EZ is clever, he has a photographic memory. He looks like someone who should not belong in this kind of life but he wound up in prison. He lost his promising college prospects and his beautiful girlfriend in the process. In the first episode the Mayans need to discover the people who stole from the gang in a carefully rehearsed heist. If they do not get the perpetrators, the cartel will go after one of them instead. The clock is ticking. By the end of the first episode, we learn that everything is more opaque. Characters have hidden motives, nothing happens by random chance. The only moral centre seems to be Ez's father, the local butcher played by Edward James Olmos. There is grimy feel to this series and of course there is no cowboy wearing a white hat, it is all shades of greys.